WHAT WAS THE OLD 30/60 DAY RULE? The 30/60 day rule was a rule that consular officers would apply under the Foreign Affairs Manual when deciding on applications at the embassies throughout the world. USCIS (United States Customs and Immigration Services) adopted this rule in practice and has applied it to domestic immigration applications and petitions, including applications for green cards. It comes up most commonly when a United States citizen marries an alien who has been in the United States for a very short period of time. 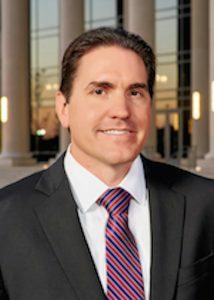 When a person enters the United States on a non-immigrant visa (one that is only temporary, like a visitor visa, student visa, or temporary employment visa), and then seeks to change status within 30 days of their admission, they are presumed to have had a preconceived intent at the time of admission and therefore they have violated their status. So, as a practical matter, an alien would enter the United States under a visitor visa. That alien may have come and gone from the United States often under visitor visas. Let’s say there is a young man from Honduras. He may have spent a lot of time in the United States without thinking too much about the legality of each entry. On the last entry, he may have decided to get married to a U.S. citizen and they both decide that they want to stay in the United States and build a life together. They may have been dating for many years as he came and went on the visitor visa without any issue. But, what that alien may not realize is that every time he enters the United States on a visitor visa, he must establish that he does not have preconceived intent. Now, in reality, the CBP (Customs and Border Protection) agents may not even ask any question. But, during any entry, if an agent determined that the alien has not established that he or she does not have a preconceived intent to stay past the authorized stay, that person can be denied admission. So, after the last admission, no matter how many times he has come and gone on a visitor visa, he must establish he didn’t have preconceived intent when he applies to get his greencard based on his marriage to a U.S. citizen. USCIS has developed a process of applying the 30/60 day rule. If you were married within 30 days of your admission and then you apply for a green card, there is a presumption that you had preconceived intent. If you were married between 30-60 days after your admission, there was a rebuttable presumption that you had preconceived intent. This means that they used to presume that you intended to stay for good when you entered on the visitor visa, but you could try to change their mind with evidence that you actually intended to leave, but decided to stay after you entered. After 60 days, there was no presumption of preconceived intent. WHAT IS THE NEW 90 DAY RULE? The Trump administration has done away with the 30/60 day rule and now applies a 90 day rule. If you get married within 90 days of your admission into the United States, there is a presumption that you had preconceived intent. In other words, it will be presumed that you intended to stay in the United States past your authorized stay on the temporary visa and it will be presumed that you formed the intent to stay before you entered the United States on that temporary visa. This would be a violation of your status and could result in being placed in removal proceedings and/or denial of an immigration benefit. 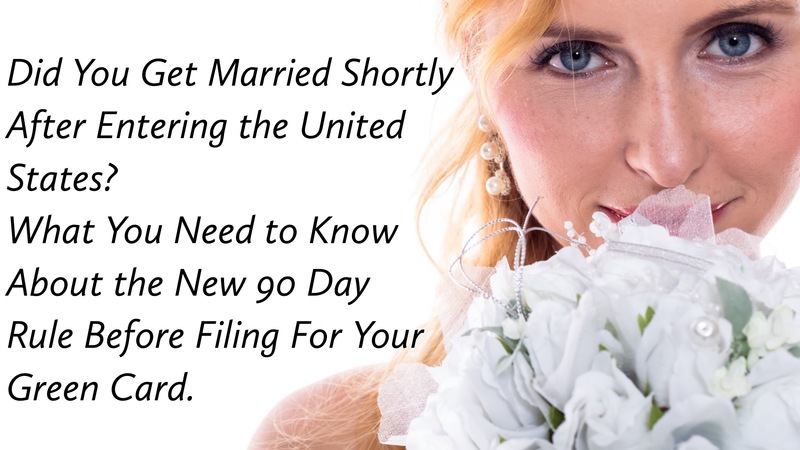 Of course, the 90 day rule applies to more than people entering the United States on a visitor visa, getting married and then applying for a green card. It applies to any temporary visa that requires that the alien cannot have preconceived intent. Basically, the new 90 day rule is different from the 30/60 day rule in that it elongates the period of time where preconceived intent will be presumed, but makes the presumption rebuttable for the entire 90 day period. Therefore, any alien who gets married to a United States citizen or Lawful Permanent Resident within 90 days of admission will be presumed to have intended to stay in the United States when the alien was admitted for a longer duration than was authorized. This can lead to denial of a greencard, denial of change of status, and have other negative immigration consequences. WHAT ACTIONS ARE CONSIDERED A VIOLATION OF STATUS? So, what would be considered evidence of preconceived intent and a violation of status? undertaking any other activity for which a change of status or adjustment of status would be required prior to obtaining such change or adjustment. WHAT SHOULD I DO IF I VIOLATED THE 90 DAY RULE? If you feel that you are in danger because you engaged in some act inconsistent with the temporary visa within 90 days of your admission, you should call an experienced immigration attorney right away. Timing is very important in these cases. An immigration attorney may be able to develop evidence to overcome the rebuttable presumption. Immigration Attorneys offer consultations to discuss all of the important information relating to the 90 day rule.